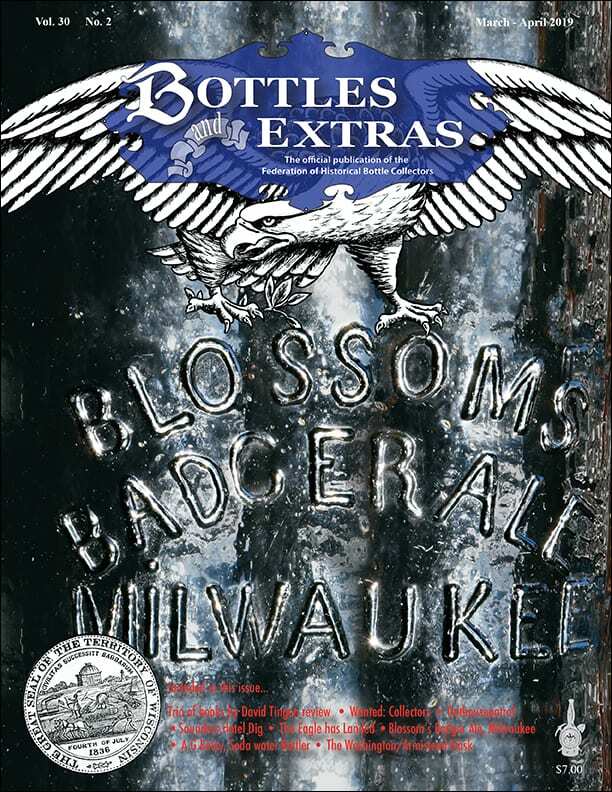 ← Congress Bitters – The Great American Tonic! 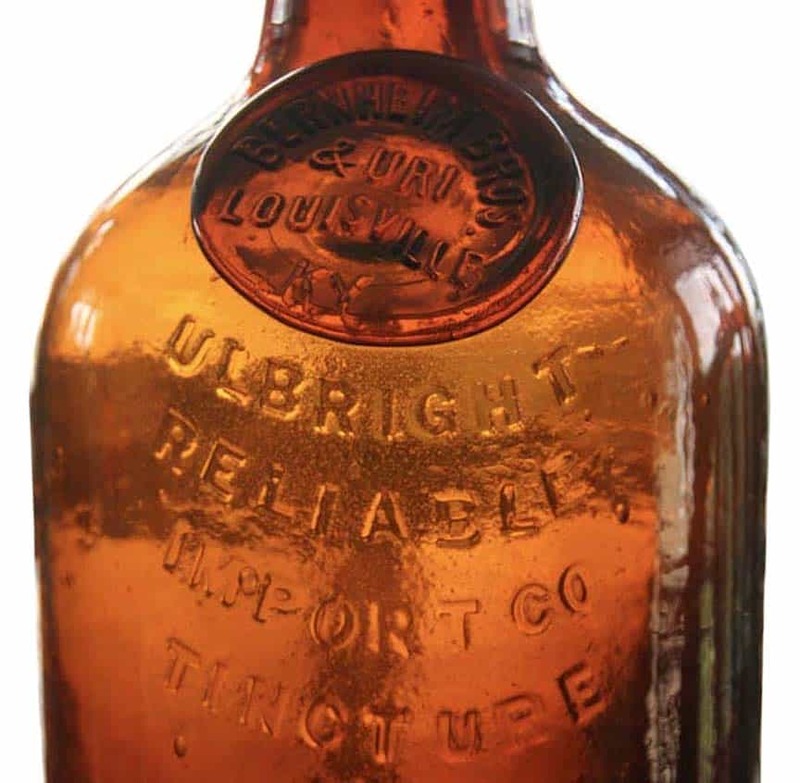 Jerry Phelps recently shared some bottle images of a round, amber, sealed and pontiled Tincture of Centaury Bitters bottle from Louisville, Kentucky. 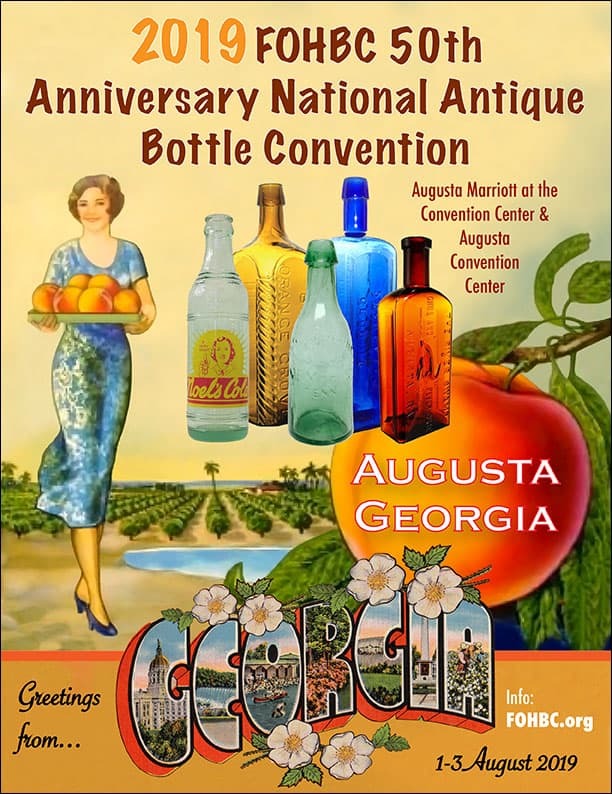 I have heard of this bottle but have never seen pictures before, so this is pretty exciting. 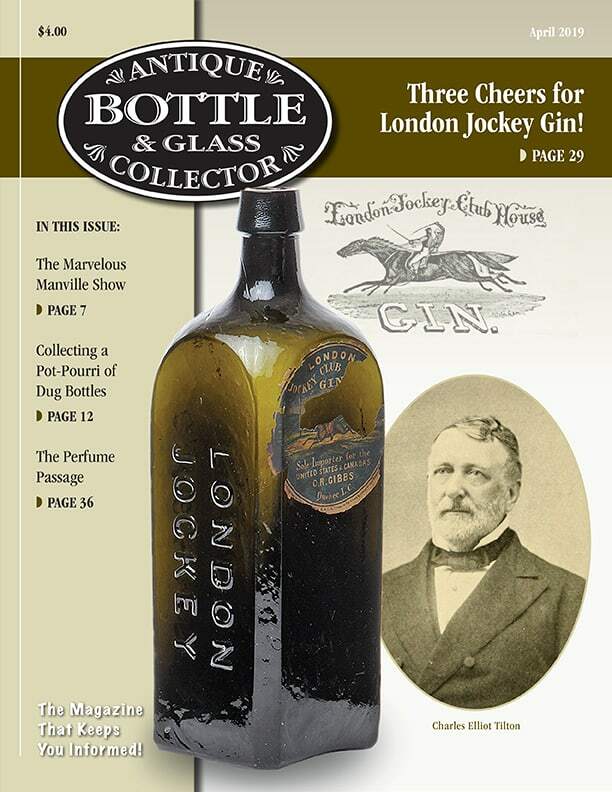 Back in 2014, I posted a list of “Kentucky’s Top 25 Rarest Bitters Bottles“, compiled by Paul Van Vactor, Sheldon Baugh and Steve Keith. The Tincture of Centaury Bitters was noted as No. 6 without a picture. Well, today I finally added that picture. The newspaper clipping below from The Caledonian Mercury (London), July 6, 1776 notes that Sir John Hill was making a Tincture of Centaury in 1776. Centaurium erythraea is a species of flowering plant in the gentian family known by the common names, common centaury and European centaury. The European centaury is used as a medical herb in many parts of Europe. The herb, mainly prepared as tea, is thought to possess medical properties beneficial for patients with gastric and liver diseases. 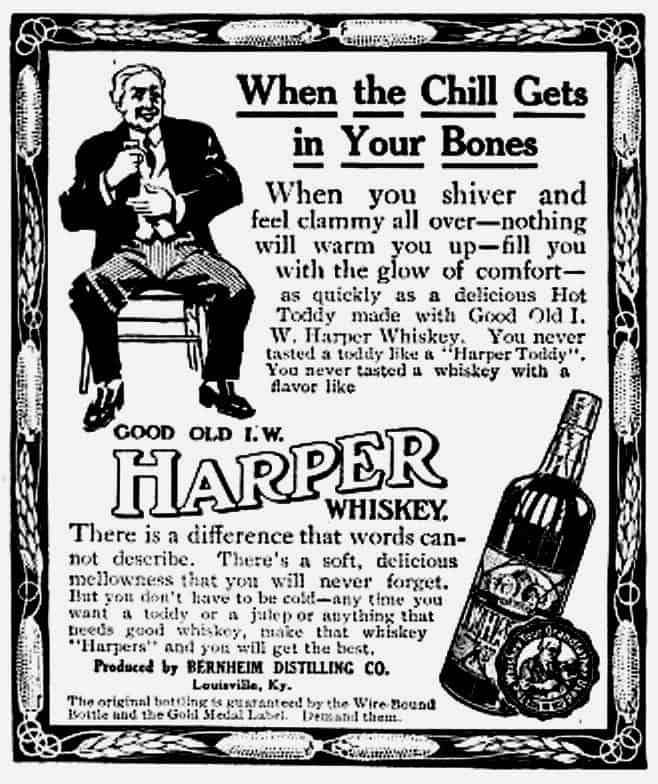 Hill developed his bitters for Disorders in the Stomach, and creating an appetite. 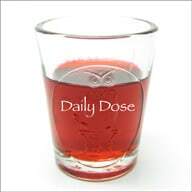 He called Centaury “the great Stomachic; in preference to all other bitters; in that it gives an appetite and good digestion, and neither heats nor binds the body. With an account of the plant, and the method of gathering and preparing; and a few rules for such as have weak stomachs.” Price 6d. 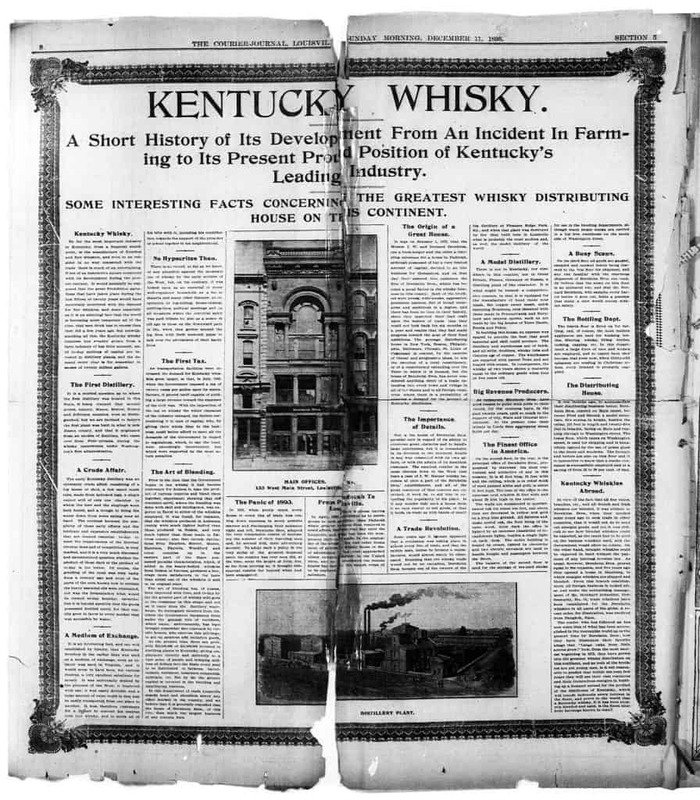 At one point, Bernheim Bros. & Uri were one of the largest wholesale liquor dealers and distillers in Kentucky and the United States. Bernheim Brothers was started in 1872 by Isaac Wolfe Bernheim and Bernard Bernheim on a small scale and developed at a phenomenal rate and in 1891 reported annual sales of about $2,000,000. 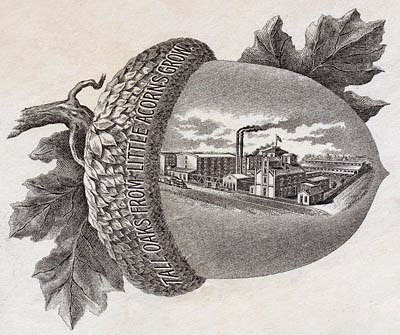 Their slogan was “Tall Oaks from Little Acorns Grow.” The Bernheim Bros. distillery opened its doors in 1870 and thrived through Prohibition. The I.W. 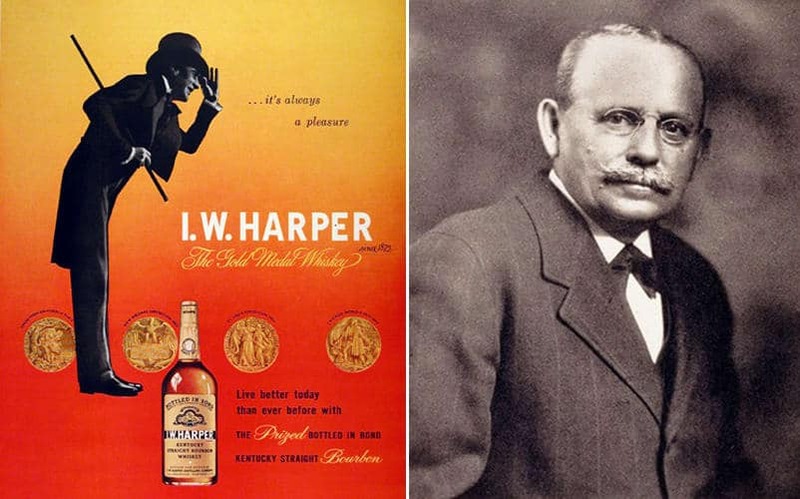 Harper namesake was born by 1872 and began producing a whiskey that would win Gold Medals throughout the late 1800s and early 1900s. In 1875, Nathan M. Uri became a member of the firm and the firm name changed to Bernheim Bros. & Uri. This would have been when the Tincture of Centaury Bitters was made. Isaac Wolfe Bernheim, also known as Ike, was born on November 04, 1848 in Schmieheim, now part of Kippenheim in Germany. He was the son of Leopold (Leon) Solomon Bernheimer and Fanny Weil-Bernheim and the husband of Emma Bernheim and Amanda “Mandie” Bernheim. His father was a merchant by profession. In 1861, when laws regarding civil rights for Jews were liberalized, the Weil/Bernheim family moved to Freiburg, Germany. Isaac’s sister Elise died, leaving Isaac with only one brother, Bernard, two years his junior from his mother’s first marriage. 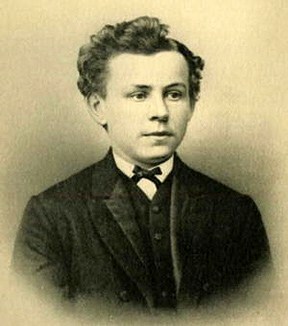 He was apprenticed in Freiburg eventually to learn bookkeeping and money handling until 1864 when at age 16, he first gained employment as a clerk in Mannheim and in Frankfurt am Main in 1865. He gradually became somewhat independent in Frankfurt until the summer of 1866 when war with Austria eventually hindered business in Frankfurt. It was during that time that he met with his uncle Livingston who was visiting from the United States who impressed Isaac with the success that could be achieved with hard work, health and good fortune. The uncle also promised him a job in New York. With Europe in the grips of war, Isaac emigrated to the United States, arriving in New York in April 1867. Isaac arrived only to find his uncle’s cotton and yarn mills near Broadway in New York City closed, with his uncle close to being bankrupt. The country was in a state of flux from the effects of the Civil War and he could find no gainful employment. He left New York for Pennsylvania to become a peddler (pictured above), selling household items such as needles, pins, threads, suspenders, handkerchiefs and ladies stockings. He became more fluent in English and American customs and by October 1867 was able to enlarge his stock and buy an old horse and a wagon. The young I.W. Bernheim then established winter headquarters in Overton, a small town in Pennsylvania. When his horse died he moved to Paducah, Kentucky in May 1868 and took a position as bookkeeper and salesman in his uncle Livingston’s firm, Livingston & Weille. The uncle had moved to Paducah to join in business with another uncle of Isaac. Later that year, he moved to the prominent liquor wholesalers Loeb & Bloom and became their bookkeeper at $40 per month. It was here that he began to realize greater success and was able to save enough money over a two year period to pay off his debts, buy some clothing and begin sending money home to his mother. 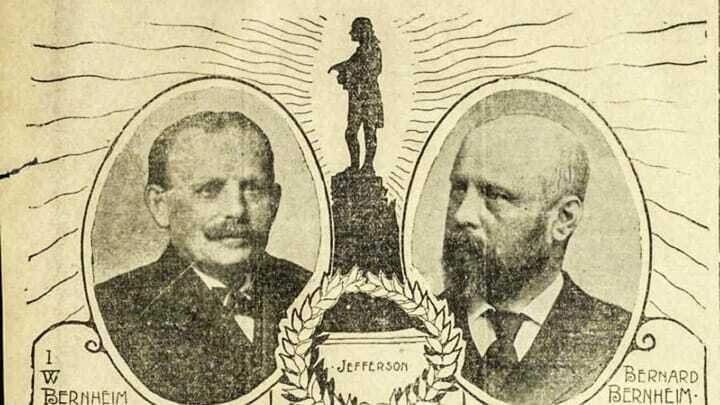 His steady income allowed him to save enough to bring Bernard Bernheim, his younger brother by two years, over from Germany to join him in Paducah. In 1870, he gained some say with the firm and Isaac’s brother Bernard was hired to replace Isaac as bookkeeper. Isaac then became a traveling businessman for the liquor business. 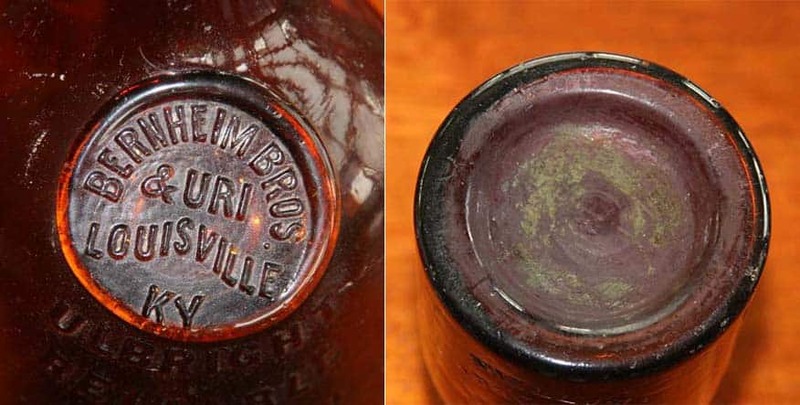 On January 1, 1872, the two Bernheim brothers left the firm in a dispute with the owners over becoming partners with interest in the business. With the money they had saved plus a considerable investment from a silent partner, Elbridge Palmer, they were able to open a competing business, called Bernheim Brothers in Paducah, Kentucky. The brothers are believed to have contributed their life savings of $1,200 to help fund the $3,200 start-up. They also set up administrative and distribution offices in Chicago at 87 Washington Street. Both the brothers were young, wide-awake, aggressive, had persistent natures, full of enterprise and ambitions to grow. 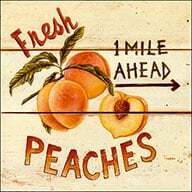 Because of their proximity to large waterways and the ability to ship product throughout the Midwest, the company prospered. The business was successful and the brothers bought out their silent partner and admitted Nathan M. Uri (brother to Isaac’s wife, Amanda) as a partner. He is pictured above. 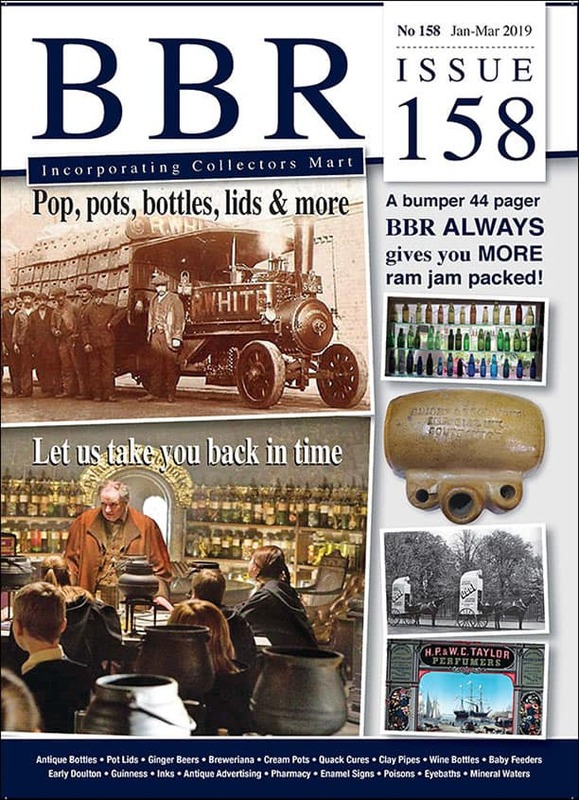 The company was renamed Bernheim Brothers and Uri. Nathan’s father, Morris “Moses” Uri, an immigrant from Hechingen, Germany, was an early settler in Paducah, Kentucky. He owned a small frontier type general store there that burned in a citywide conflagration in 1851. Surviving the loss, Morris continued in commerce, running a grocery with a large liquor component. 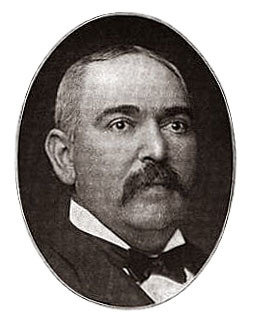 He ultimately became part owner of a distillery and opened a liquor sales office in Chicago. 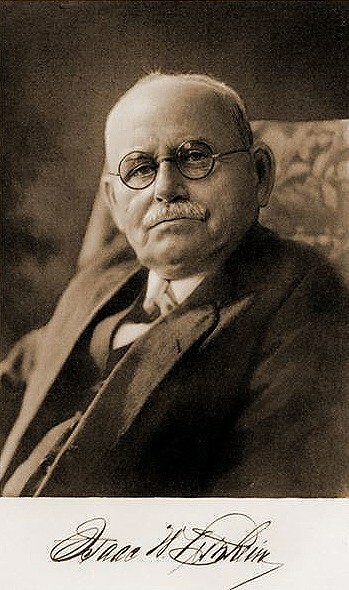 With wife Amelia (Halheimer), also a German immigrant, Morris sired a family of six, five girls and Nathan, born in 1857. Within 15 years, their business trading covered the entire South and spread into parts of the West and Northwest. 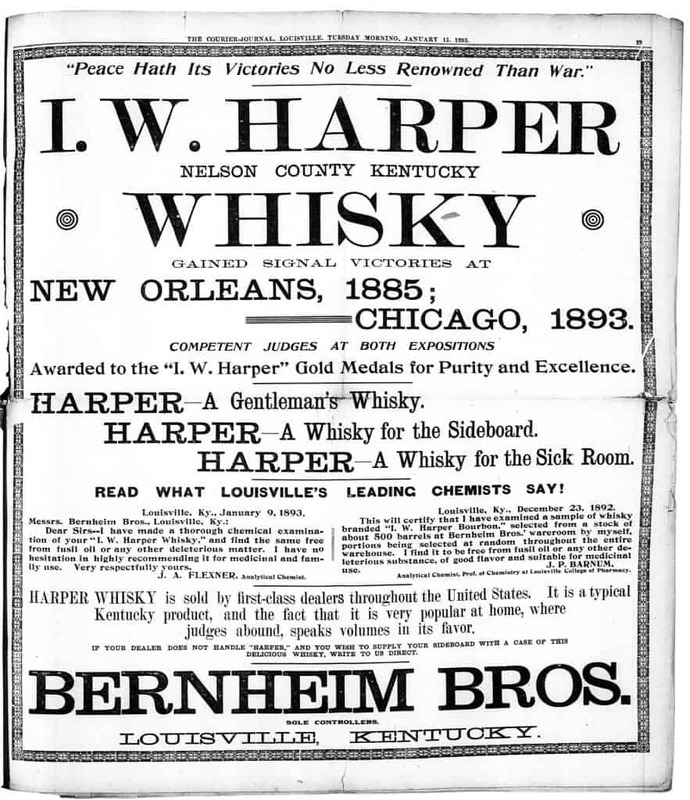 In 1879, the Bernheim Brothers register the I.W. 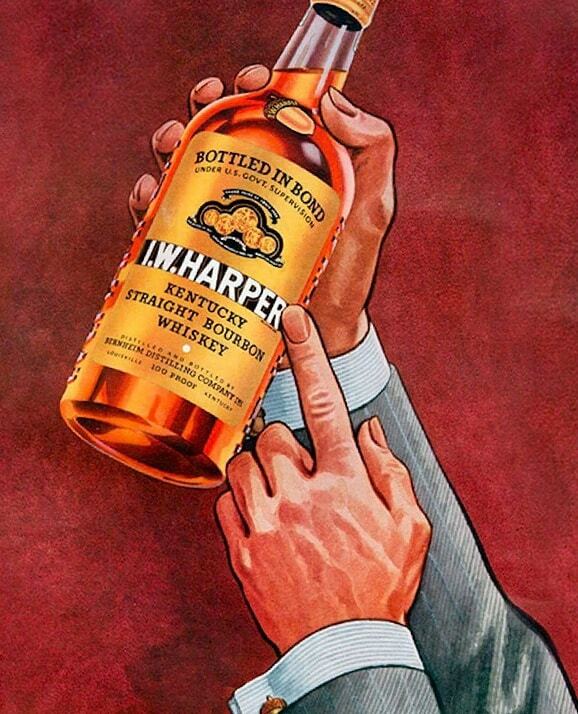 Harper brand. The I.W. initials were borrowed from Isaac’s own name, while Harper was the surname of a famous horse breeder (F.B. Harper). The brand went on to win multiple medals for quality, the first being at the New Orleans Exposition on 1885. 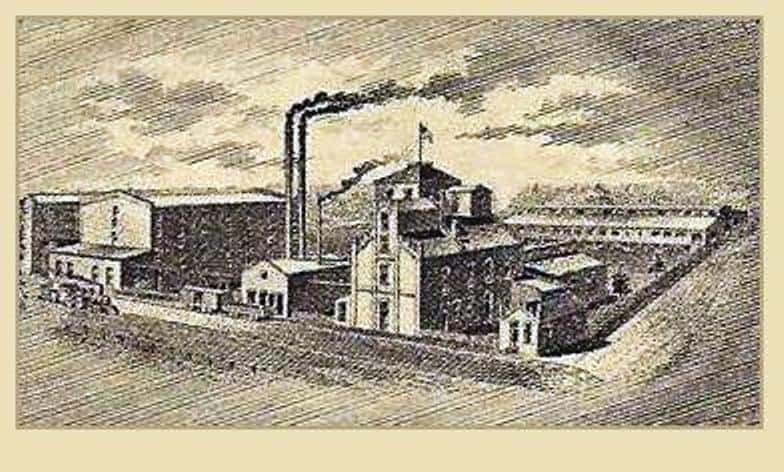 In March 1896, Bernheim Bros. and Uri bought out all interests in the Pleasure Ridge Park distillery, seven miles southwest of Louisville. That facility had been built in the early 1870s but the owner had lost it in the Panic of 1870 and they joined a combine of investors to buy him out. At this time Bernheim and Uri were not distillers themselves but rectifiers and wholesalers of a wide variety of alcoholic spirits. 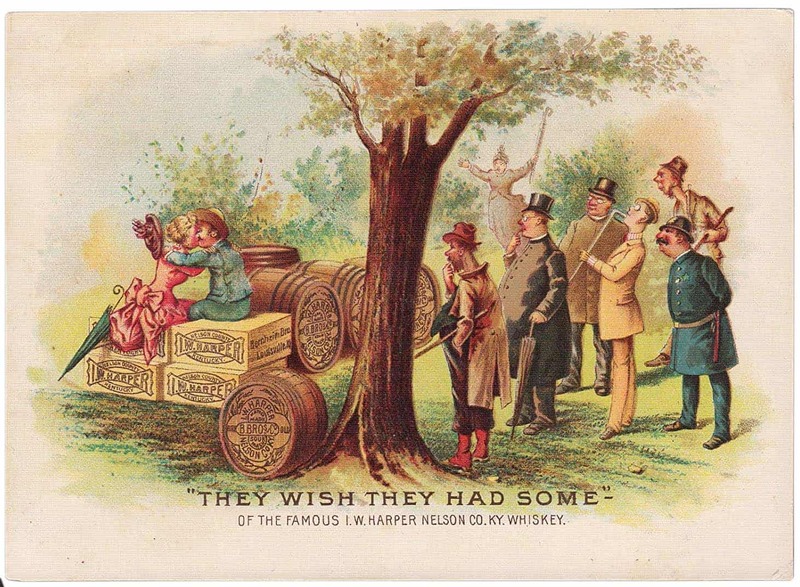 Pleasure Ridge provided them with the raw whiskey for blending into brands they vigorously marketed nationwide. The arrangement was that Isaac worked sales to the West, Nathan to the East. Endowed with a strong work ethic, the two men were on the road constantly. Meanwhile Bernard looked after day to day operations. The plant was equipped for the manufacture of sour mash, fire copper sweet mash, quick maturing Bourbons, ryes identical with those made in Pennsylvania and Maryland and neutral spirits. On June 1, 1891 Nathan M. Uri left the partnership and set up his own company. 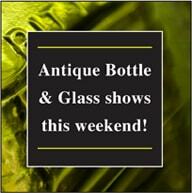 One newspaper report stated that the Bernheim Bros. had the finest office in America for whiskey distribution. It was 65 feet long, 25 feet wide and had a 35 foot high ceiling which had relief work of steel painted white and gold. The rear of the office had one immense oval window 25 feet wide and about 30 feet high in the center. The walls were wainscoted with quarter sawed oak for about 10 feet and above, they are decorated in yellow and gold with deep blue background. All the fixtures and desks were of oak, the floor also being oak. At night, an immense chandelier of incandescent lights supported a single light on each desk. The entire building had a steam heated system, was lighted by electricity and had two electric elevators used for freight and passenger service. The balance of the second floor was used for storage that held tax-paid stocks for use in the blending departments. Another warehouse on Washington Street held much larger stocks. The third floor was where goods were gauged, sampled and marked before being lowered to the first floor for shipment. The fourth floor was fitted up to be the bottling department that had the most modern appliances used for washing bottles, filtering whiskey, filling bottles, corking, capping etc. A large support force of men and women were employed that included thirty-odd salesmen. 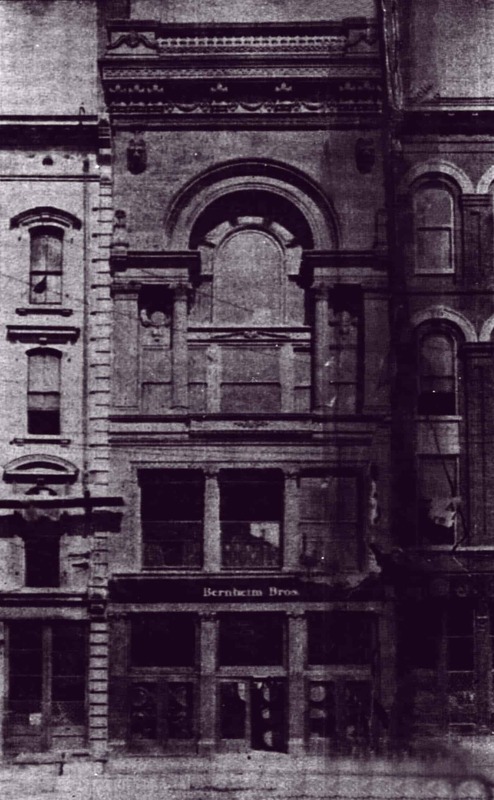 In 1898, the offices were relocated to 133 West Main Street between First and Second in Louisville. The new building was four stories in height, plus the cellar, 225 feet in length and 25 feet wide and had similar departments as the previous location. In 1896, The Pleasure Ridge Park distillery was destroyed by fire, leaving the Bernheim Brothers with a $1 million dollar tax bill on the bonded whiskey that had been stored in its warehouses. The Brothers begin building the Bernheim Bros. distillery on Bernheim Lane and they are again in production the following year. 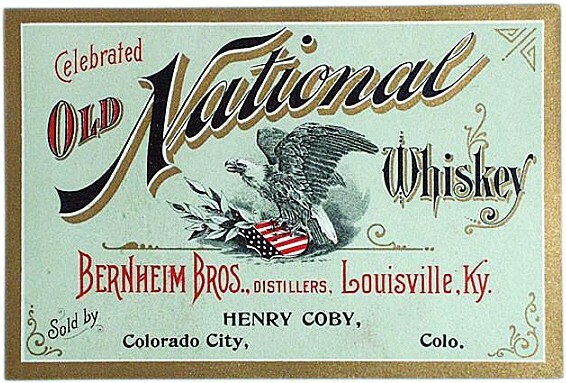 By 1903, the company incorporated as Bernheim Distilling Co. with $2m in capital. 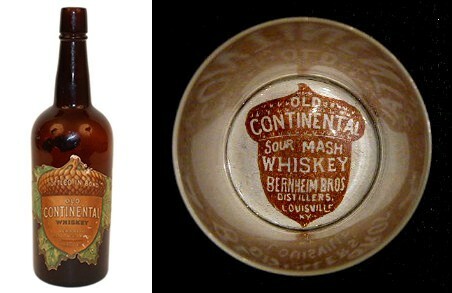 In 1906, Bernheim Distilling Co. acquired the Warwick distillery. The company apparently also had a stake in the Mayfield distillery. During the Prohibition era, Bernheim Brothers Distillery was one of only ten distilleries allowed to continue to make bourbon for medicinal purposes. 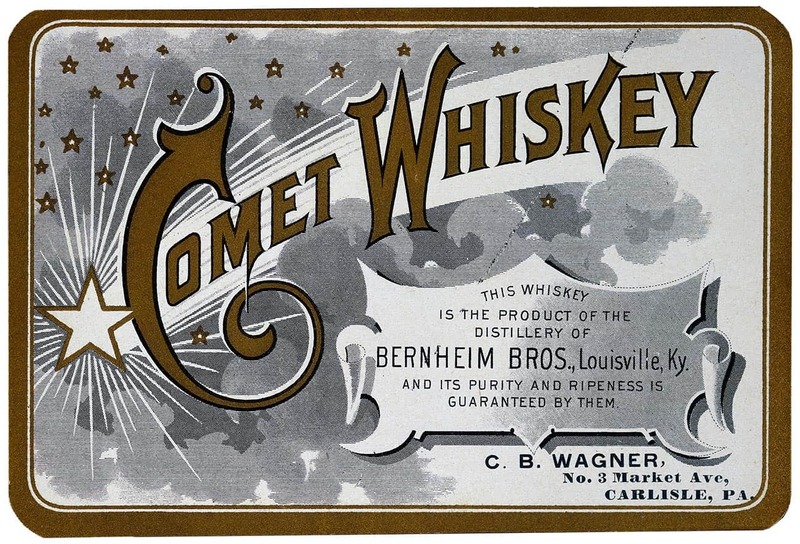 The various linear companies in this post used the brand names: A Fair Exchange, Comet Whisky (pictured above), Crestmore (bottle pictured further below), F.F.V., F.F.V. Rye, I.W. Harper, Kentucky Reserve, Metropolitan, Old Complimentary, Old Continental (pictured below), Old Moorehead, Old National Whiskey (pictured below), Owl Hollow, Prosperity, Shaw’s Malt, and The Whiskey Your Grandfather Used. 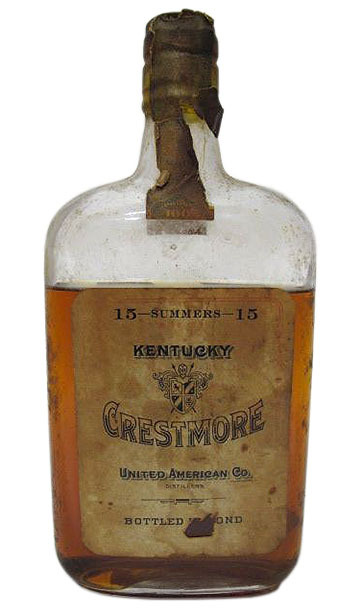 In 1911, United American Co. was organized with Albert S. Roth, president and Milton W. Barkhouse, Vice President, to assume the property and interests of the Bernheim Distilling Co. An example of one of their brands is pictured below. 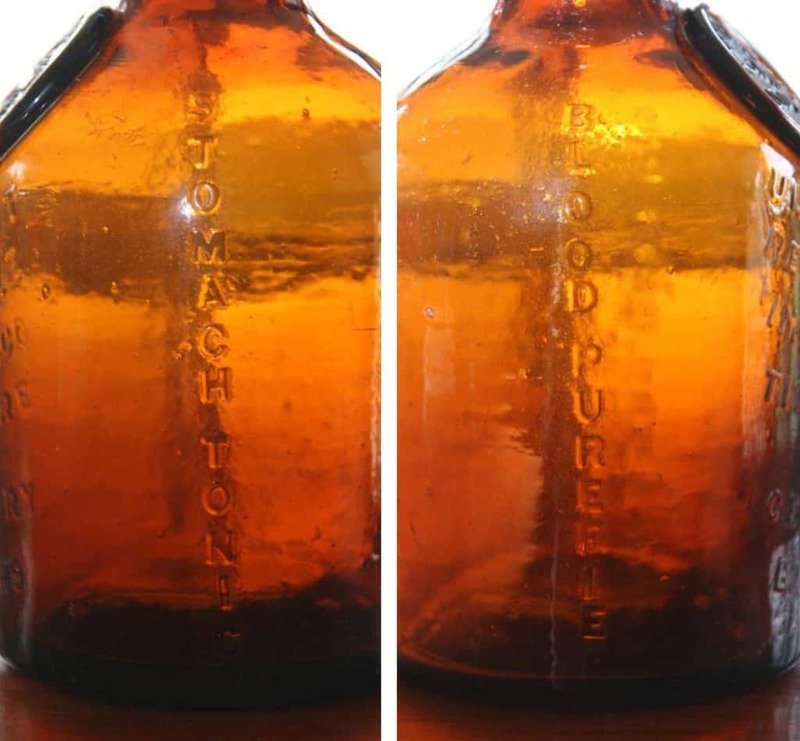 From 1920 to 1933, both the Bernheim Bros and Warwick plants were partially dismantled and the property sold, but Bernheim Distilling Co. operated as a medicinal whiskey distributor. 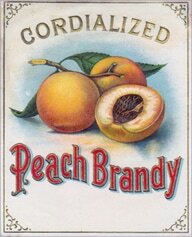 In 1934, Schenley purchased the brands, ultimately becoming the property of United Distillers. I.W. Bernheim became a notable philanthropist and member of the national Jewish Community in the United States. He financed two Kentucky statues in the statuary hall of the U.S. Capitol (the only two statues privately purchased there), a statue of Abraham Lincoln outside the Louisville Free Public Library and the statue of Thomas Jefferson outside the Jefferson County, Kentucky courthouse. Upon visiting his hometown of Schmieheim in the early 20th Century, Bernheim financed Schmieheim’s first plumbing system and built homes for the elderly and for children. In 1928 he purchased 14,000 acres of farm land in Bullitt and Nelson Counties, Kentucky and established the Bernheim Arboretum and Research Forest in 1929. I.W. Bernheim died on April 01, 1945 at age 96 in Santa Monica, Los Angeles County, California and is buried in Kentucky. He truly waste of the great pioneers of American whiskey, and he also made a bitters. Historical data of young I W Bernheim references an article by Charles Hartley that appeared in The Courier-Journal on 11 September 2013. 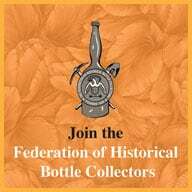 This entry was posted in Advertising, Bitters, History, liquor, Liquor Merchant, Medicines & Cures, Spirits, Tonics, Whiskey and tagged Acorn, Antique, Bernard Bernheim, Bernheim Brothers, Blood, Bottle, Bourbon, Centaury, chicago, Cure, Distillery, Germany, I.W. Bernheim, I.W. Harper, Isaac Wolfe Bernheim, Jerry Phelps, John Hill, Kentucky, legacy, legend, liquor, Livingston, Louisville, Medicine, merchant, Nathan M. Uri, Oak, Paducah, purifier, rectifier, spirits, Stomach, Tincture, Tonic, Uri, Whiskey, whisky. Bookmark the permalink.